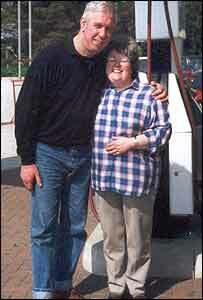 Bonfire Night 2003 should have been just another normal evening for Graham and Carol Fisher. The Perch garage and repair shop they had run near Wadebridge for 25 years had been locked up for the night. 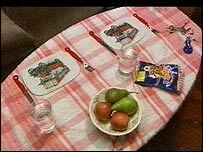 In their small bungalow, a table was set for an evening meal, the television was switched on and dinner was in the oven. But as fireworks started exploding around the Cornish countryside, the quiet couple met their deaths in a sadistic and brutal manner which shocked the local community and even the police. One of the first tasks for the police murder team was to establish a motive for the killings and whether it had been a targeted personal attack on the Fishers. This was not an easy thing to do, as the couple appear to have lived a reclusive, solitary lifestyle. Police were hampered by the state of the couple's bungalow, which was filled with bags of clutter and what appeared to be a lifetime of belongings. The senior investigating officer at the time of the murders, Det Supt Stuart Newberry, said: "There were some rooms you couldn't actually get into because of the sheer bulk in the way." The investigation established that Carol and Graham Fisher were a wealthy couple who owned 50 acres of nearby land. They were worth more than £2m. Mrs Fisher, who owned a number of properties, left an estate of £1.4m, while her husband left £858,000. Despite this, the pair did not display their wealth and Mr Fisher drove an E-registered Peugeot 205, registered in the mid 1980s. However, they were regarded by many locals as "loners", "introverted" and "moody". It was also reported that Mr Fisher would sometimes refuse to serve customers he did not like the look of. John and Cecilia Dunford, who lived next to the Fishers, said they were not an easy couple to get to know. Mrs Dunford told BBC News: "Our garden ran into their property. We used the garage fairly regularly and did a bit of trading with them when they used to sell potted plants. "Graham Fisher was quiet and withdrawn - not what you'd describe as a sociable sort of chap." The couple, who had no children, had not seen their family for several years, but police said they appeared to be a devoted pair who kept themselves to themselves and had a very small circle of friends. One of those friends was Irene Brewster, who described them as a "lovely couple". She said Carol had an infectious laugh and always saw the funny side of things. "But they were very private people", she said. "We were never invited into their bungalow. I think they were just really happy in their own company." Ms Brewster spoke to the Fishers on the phone at about 1840 GMT and was possibly the last person to speak to them before they were murdered. She said there was absolutely nothing in their manner to suggest any hint of what was to follow. "They seemed perfectly relaxed and obviously had no idea what might happen to them," she said. Nine months after the murders, a private funeral was held in St Issey for Graham and Carol Fisher, with mourners asked to make a donation to a Cornish cat rescue centre.